Apple will offer a free replacement for faulty rubber bottoms on the cases of some MacBook laptops. Many MacBook owners have reported that the rubber casing beneath the device has separated from the bottom of the laptop. Apple is now offering three free fixes (try saying that five times after a few sherberts) to MacBook owners affected by the fault. Users can take their laptop into an Apple Store where it'll be replaced by those wondrous magicians at the Genius Bar, or through an authorised Apple dealer. If you can't get to the store yourself, you can call Apple and ask them to send you a replacement kit, which includes screws, a screwdriver, instructions, of course, a new case. If you've been a little more pro-active and already bought and fitted a new case, Apple will refund your money. Can't say fairer than that. 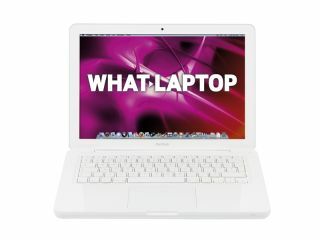 To be eligible for the replacement programme, MacBook owners must have bought their laptop between October 2009 and April 2011.